Window Wanderland – we’re a sponsor! 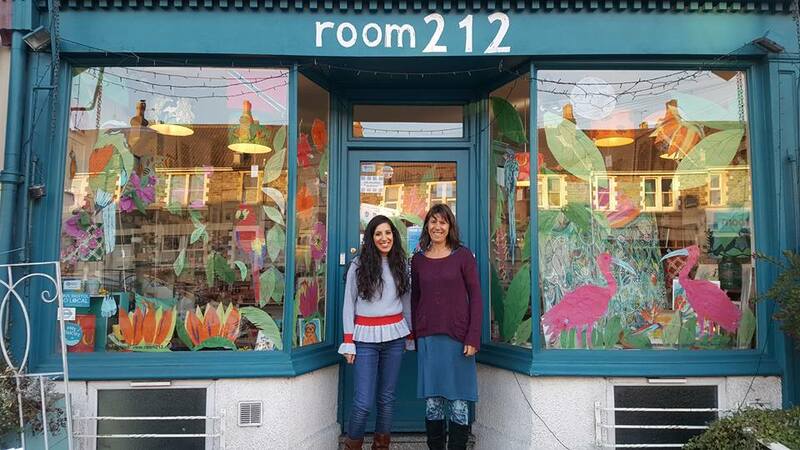 Window Wanderland takes place in Bishopston 24-26th February. This is a magical time in our community when over 150 residents get creative to transform our streets into an outdoor gallery for all to enjoy! Taking part is FREE and everyone is welcome. We are proud sponsors of this community event and transformed our windows for the Window Wanderland weekend and a few days beyond. This year our theme was Glimpse of Paradise. 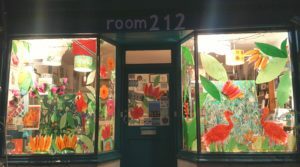 Various artists including Sarah Thorp, Carla James, Holly Collage and Laura Robertson specially created images of birds and flowers to fill up our windows and others have contributed paintings and prints to go in the display. Mary Price’s large, bright paintings took centre stage. 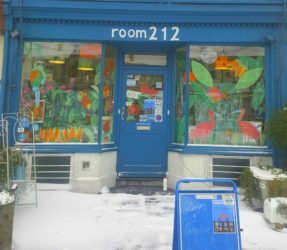 A few days after the WW weekend the East From the Beast snowstorm hit Bristol so our Taste of Paradise was framed by heavy snow!